Hi, I took the plunge and get the K1, date on the phone states 23/05/17, is that good or bad news in turns of the screen issue? CPW guaranteed that none of their stock had the defect on the screen, but they are also offering £50 off the phone, which makes me suspicious! As far as I can tell the "fixed" batch is late June and following. Since CPW is insisting that their stock is glued, I don't think asking them to replace it with the newest stock they have is going to work out, though. Where are you finding the date on the keyone? Umm, so what does this mean as far as a Date goes? It means nothing. For whatever reason the BBB100-3s don't have them on the box. Mine has a date under the model number, I will see if I can upload an image. Thank you Sir, that wasn't from the box (though the information is the same) this was on the sticker on the inside of the back cover of the device. That is strange. My phone says BBB100-2. Does that mean bbb100-3 is the fixed version? My phone has date in may. No, that signifies what networks the phone supports. TCL never bothered to say what the cutoff date is for fixed KEYones versus unfixed KEYones; I'm assuming "mid-June". do you think that any k1 got from cpw now will be free from the screen lift ? Errr....no! Just given mine in and it was purchased 22nd May. I don't think the US ones have a date on the sticker. In order to find manufactured date, people can go to phone dialpad and type in *#2886#, press "MANU" , go to the very top option and press "Traceability", press "Pass" and will show the date at bottom. To leave that mode, press "Pass" again, scroll all the way down and press "Exit". Mine is June 29th, so I think I am good. preacher2b, ksloth and frigider like this. Thank you for this. They sent a replacement to me and my date is 5/28 so it looks like I may have a refurbished one previously returned or maybe never shipped from the first bad batch and fixed . Hmmm...not sure how I feel about this. 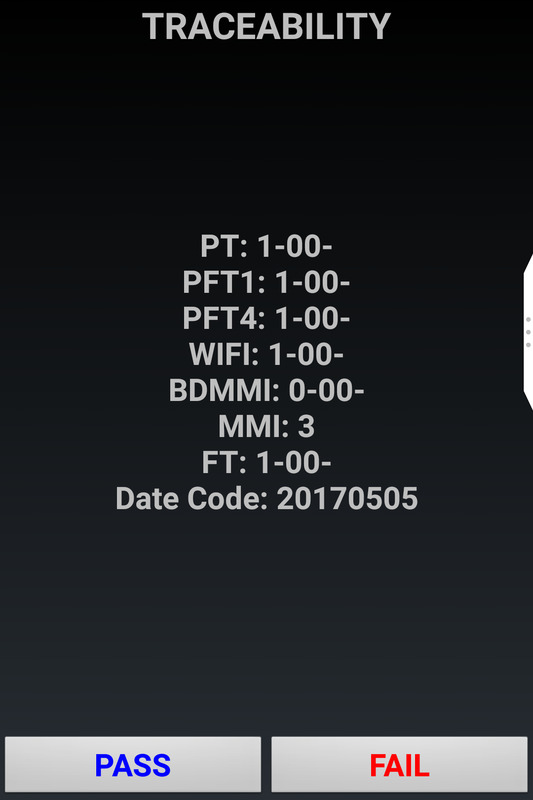 My first replacement in mid July was a June 9th phone. The screen failed a month later. Now waiting on second replacement. I will check the production date before I set it up and send this one in. This is a call recording app rt?